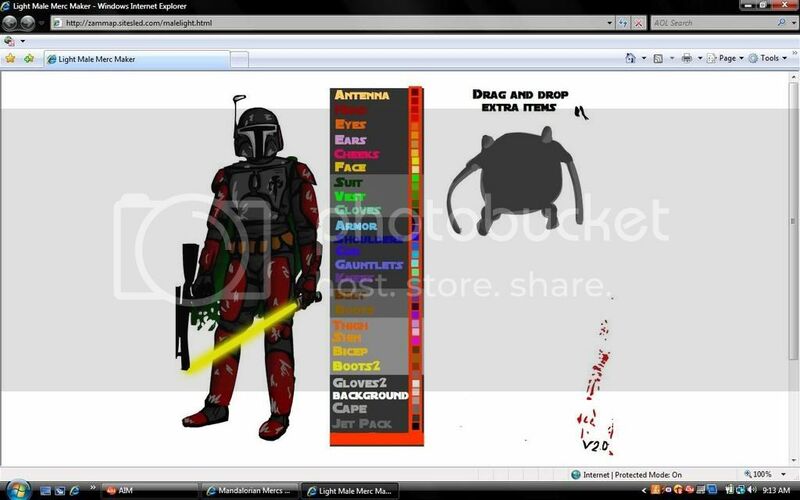 Our very creative Mercs member Mirta_Gev created an awesome Flash program to help you design your own custom Mandalorian character. The web addy will change soon as we are moving it to the Firespray.net host, but I'll change it on this post when we do. cool i think we should do that here on bffc to that be pretty coooooool!!! i vote we make a contest to see who can make the best, bloodiest mandalorian. i wish you could save it, I made Kal'ak twice, and soon therel be a third. Take a screen shot and go to pait and click select and then right click paste. Presto you have a pic of your mando. if you wnat you can crop it. 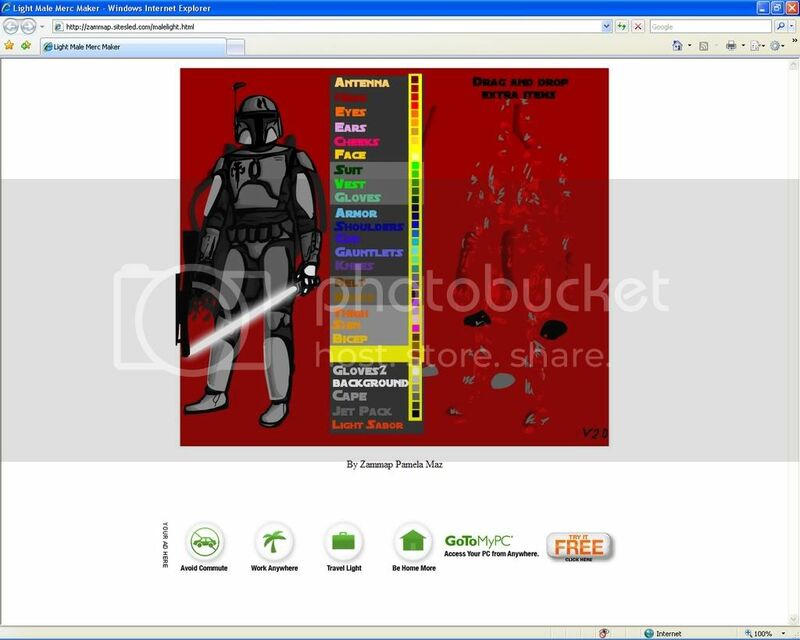 Alo Fett, did you use Photobucket to get the picture here? I guess you need a link to get the picture shown here, right? er. how u get a screen shot? Look at the upper right corner of your keyboard, then press the PrtScn button. It is possible the text is a little different. Keyboards are different, you know. thanks alot, now gota find out how to get it here. So did you mean you know how to get it here or was that a question.? Thanks, maby with a later version, i could make a better one. ...A later version? It seems you know more about the MandoMaker... ? But hey, how did you get the picture here? You took a screenshot, but then? I mean if some one makes a later version. Someone will do... For sure. Right, Novall Talon? I'm sure there will be updates. I think Mirta may work on a female version also at some point. hey navoll talon u know im makin a costume right well how old do u have to be to have a mandalotian mercs membership im only 12 is that old enough???? !